New Caledonia’s botanical diversity is especially astonishing given that the entire archipelago covers only 7,172 square miles, making it smaller than the state of New Jersey. 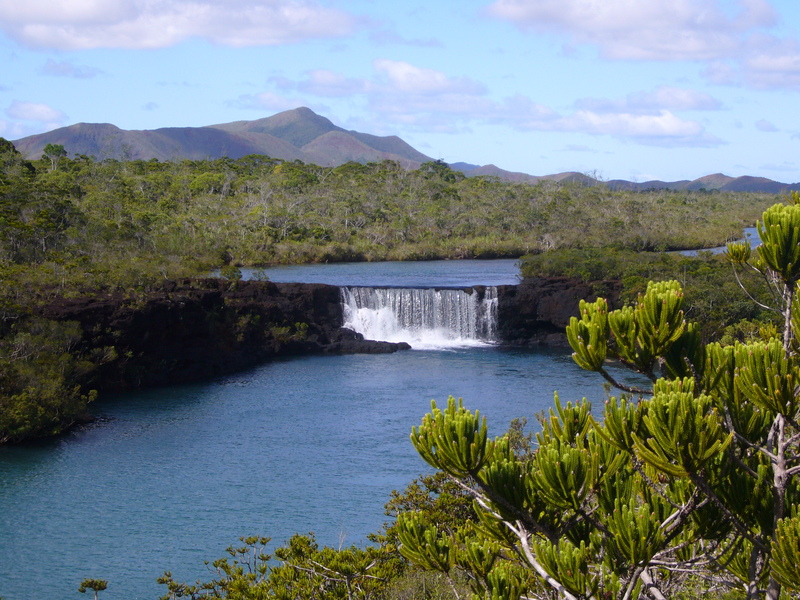 Why is New Caledonia the site of such much biodiversity? This has to do with the island’s varied terrain, distinct microclimates, and unusual soil conditions. But in order to fully understand why so many different kinds of plants grow only in New Caledonia, we also need to consider how new species come about. Speciation, the process by which one species becomes two, is often effected by a geographical separation in an original population. The two separated populations continue to evolve independently, and over time the populations resemble one another less and less. Any changes wrought by natural selection or genetic mutation in one population are limited to that population because their geographical isolation makes breeding between populations impossible. If the conditions in which these two populations find themselves are very different (e.g., soil conditions, precipitation rate, elevation), then you can imagine that the natural selection pressures will also be very different, yielding divergent outcomes. The changes, as they accumulate over time, render each population distinct, so much so that if were they brought back together they probably could not produce viable offspring. Most of New Caladonia’s biodiversity is centered on the main island of Grande Terre. Dividing Grande Terre is a mountain range that runs north-to-south. The mountains create a rainshadow to the west, where conditions are dry, while the eastern slopes are humid and moist. In addition to variations in rainfall and elevation, some very unusual soil conditions also contribute to Grande Terre’s ecological niches and the unique species that call them home. The endemic species of New Caledonia exhibit some fascinating adaptations to their local ecosystems, of which there are five main types: humid forests, maquis, dry forests, freshwater wetlands, and mangrove swamps. Humid forest in the Blue River Provincial Park, New Caledonia. Photo Elise Coste © IRD. Plentiful rainfall supports a lush forest flora, where enormous trees reach through an otherwise closed canopy. Such rainforests once covered 70% of New Caledonia but now make up only 22%. 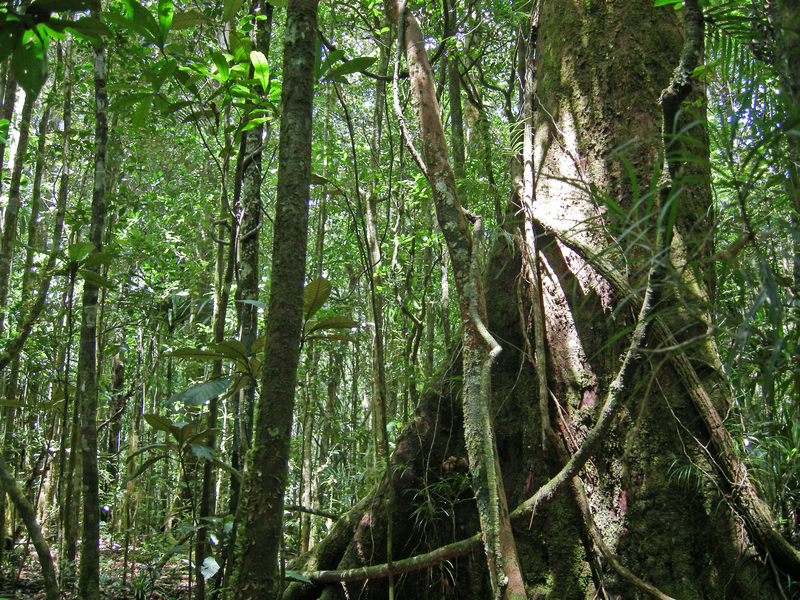 However, striking forests can still be found in the wetter lowlands of the east and in the central mountains of Grande Terre. The flora here (and in other parts of the island) is of ancient origin, composed mainly of plant lineages that originally evolved millions of years ago on the ancient supercontinent of Gondwana. The largest specimens of southern hemisphere conifers on the island are typically found in the humid rainforests, including Agathis, Araucaria, Podocarpus, and Dacrydium. A very important plant found only in the mountain forests of New Caledonia is Amborella trichopoda, the sole member of the most ancient lineage of flowering plants, Amborellaceae. A maquis is a dense type of growth typically made up of low evergreen shrubs found in dry areas. 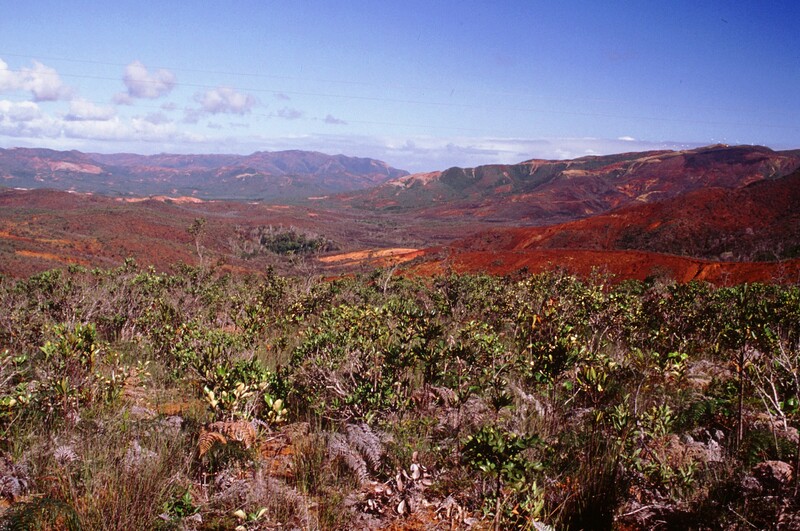 In New Caledonia, these areas are called “maquis minier” because they are very often mined for nickel. The ultramafic or serpentine soil of the maquis minier is poor in nutrients while full of metals like nickel, magnesium, chromium, olivine, and manganese. It is the nature of the soil more than lack of rainfall that shapes the maquis, as there are some wet maquis in New Caledonia. Nickel and chromium in particular are toxic to plants. You might expect such conditions to depress biodiversity; however, at 89% the endemism rate is greatest in the maquis. The shrubs, heath-like plants, and stunted Araucaria trees that grow here are adapted to these harsh soil conditions. New Caledonia’s remarkable geological past accounts for its unusual soils and biogeography. View of Ouen-Toro Provincial Park, Noumea, New Caledonia. A military base during World War II, it is now a protected dry forest. The dry tropical forests of the lowland west coast are also called “sclerophyll forests.” The word sclerophyll word comes from the Greek sclero (hard) and phyllon (leaf). Many of the plants growing in the dry forests have thick, stiff leaves that resist water loss. 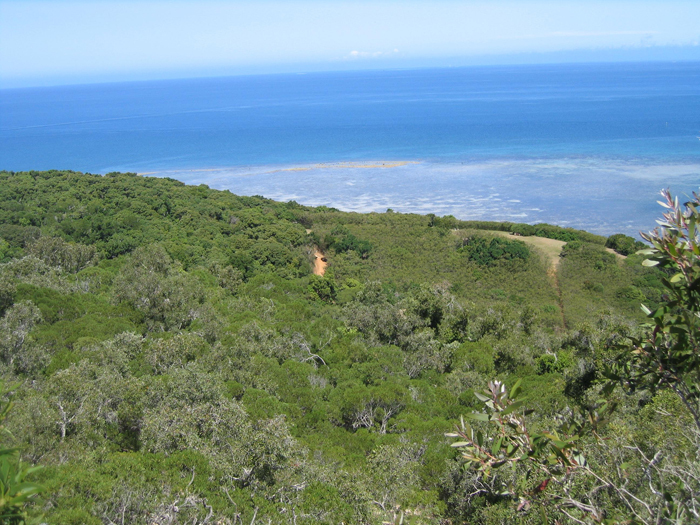 Once covering the lowlands of the west coast, the dry forests are the most threatened forests on New Caledonia, with only 2% of the original forests remaining. When flourishing, the dry forest has a 10 to 15 meter canopy and a dense understory of shrubs and woody vines. In its degraded form, the dry forest resembles an open savannah full of grasses and sedges dotted with niaouli trees (Melaleuca quiquenervia), or it is overtaken by thickets of Acacia and other, often introduced, shrubs. Chutes de la Madeleine Provincial Park. Another hot spot for endemics is the Plaine des Lacs region of the Grande Terre, where endemic wetland species grow in the margins of lakes and streams. Some of the world’s rarest conifers grow here, especially Podocarpus species. Located at the southern end of the main island and in the foothills of a mountain chain, the soil tends to be of the ultramafic (derived from rock heavy in metals) type. 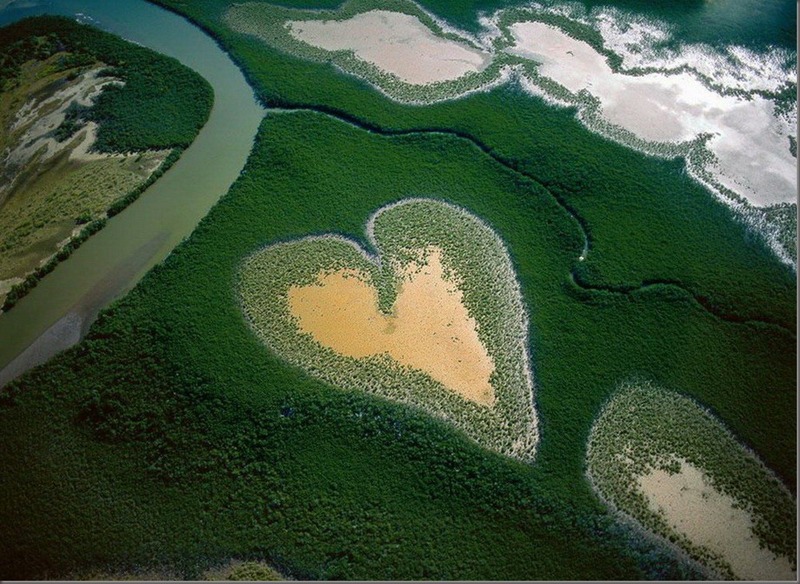 Heart of Voh, found in the northern end of Grande Terre (main island), is a natural clearing in the mangrove. New Caledonia’s mangrove swamps occur mostly on the western coastline of Grande Terre, and help form part of lagoon habitats and estuaries (places where rivers meet ocean tidal waters). Mangrove swamps account for 80% of the island’s western coastlines and are an important ecosystem for New Caledonia. Around 25 plant species occur in the mangrove forests, though none are endemic. As a result, mangrove plants are not part of the Atlanta Botanical Garden’s collection. Nevertheless, the mangroves are a vital ecosystem for the islands, so we provide profiles of a couple of important mangrove species.